New and novel technologies have transformed the site selection process. Real estate professionals have adapted their approach with the latest systems and software, using the massive quantity of data at their disposal to simplify their duties. Year after year, the pace of innovation only continues to accelerate. With all of the technologies available today — and set for release in the coming years — those searching for commercial properties should educate themselves on modern site selection. If you're in a position where you're looking to sign a commercial lease, you need to take full advantage of your resources. Fortunately, for all the complexities of site selection tools, they're simple to understand. After all, these technologies are supposed to make your search more convenient, not more complicated. With this in mind, we'll walk you through everything you need to know, looking at five tools that facilitate decision-making. You no longer need to visit a property to have a thorough understanding of what it looks like. In addition to the basic pictures of the building's interior, you'll also enjoy an extensive view of the exterior, as well as the surrounding area. With the assistance of drones, aerial photos and videos are more accessible than ever. This heightened degree of visibility enables you to see the flow of traffic, how employees might move through the space and other details that inform your final decision. While it isn't nearly enough information to justify a purchase, you'll find it's easier to sort through properties and phase out the ones that won't work. Information transparency is integral to decision-making. Before you sign a lease, you should know the energy consumption of the building, how tenants utilize the workspace and other details that will affect your experience. Artificial intelligence assists in collecting this type of data, crucial in the site selection process. The Internet of Things will also serve a function in the collection and analysis of data. In combination with AI and other promising technologies, potential tenants will have the information they need to feel secure in their decision to lease a commercial space. You can determine the best option with far less risk. On the subject of data, the internet has a wealth of information on demographics. You'll come across many resources that provide relevant data for business owners searching for the perfect place to open a new location. With this kind of service, you can determine the area that is most conducive to your success. As you evaluate your properties of interest, you'll have facts and figures to guide you toward the smartest choice, away from potential mistakes. Of course, the value of the service depends on many conditions that may or may not apply to your situation, but it's usually helpful for the process of site selection. When you're unable to tour a property in person, you have alternatives that provide a similar experience. With virtual reality, you can move through a commercial space, examine its features and learn everything you need to know — all without actually heading to the site. Besides the obvious benefits of virtual reality tours, certain software allows you to leave comments and speak with agents in real-time. You can have a conversation about the different aspects of the building, asking about materials, maintenance, insulation and any other areas of concern you might have. Before you sign your lease, you want to know the commercial building you intend to occupy doesn't have any pressing issues. After all, it would prove costly and inconvenient to relocate halfway through your term if something unexpected comes up. Cameras and inspection tech account for this key consideration. As an example, most real estate inspections should involve a camera pulled through underground sewer lines to determine their condition. Since 60 percent of these underground inspections reveal a problem that requires immediate attention, this technology is critical to ensuring the safety and security of tenants. As technology continues to streamline the site selection process, you should set aside time to review some of today's systems and software. When you have a better understanding of your tools, you'll have a better understanding of the properties themselves. 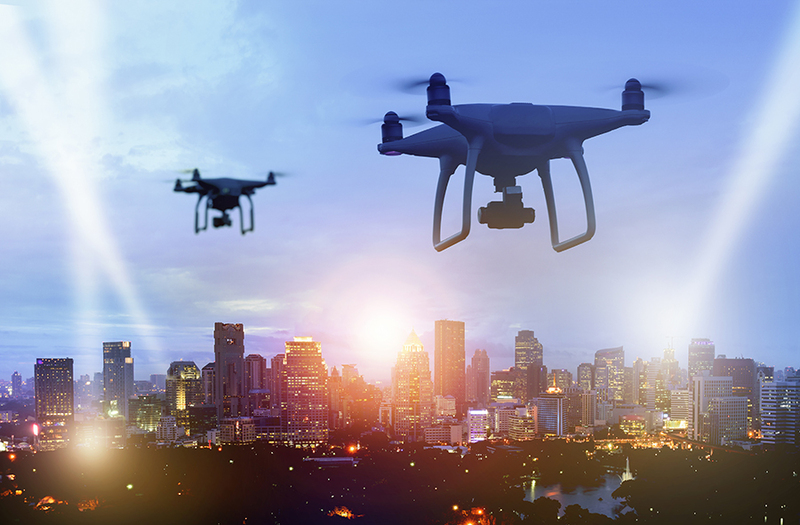 With the integration of drones, artificial intelligence, virtual reality and other technologies, site selection has changed in a significant way. If you're not accustomed to these changes, you might find it difficult to adapt to the "digital transformation" which is presently affecting the real estate industry. Even so, the technologies above are designed to help, not hinder. As you search for commercial properties, you'll find it's easier than ever to locate your next workspace, with far fewer doubts and concerns over your final decision to sign a lease.